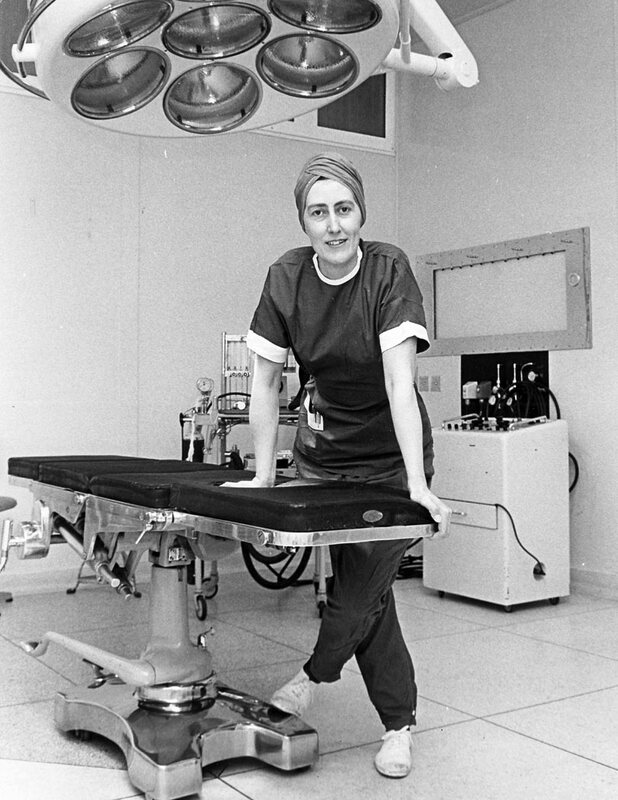 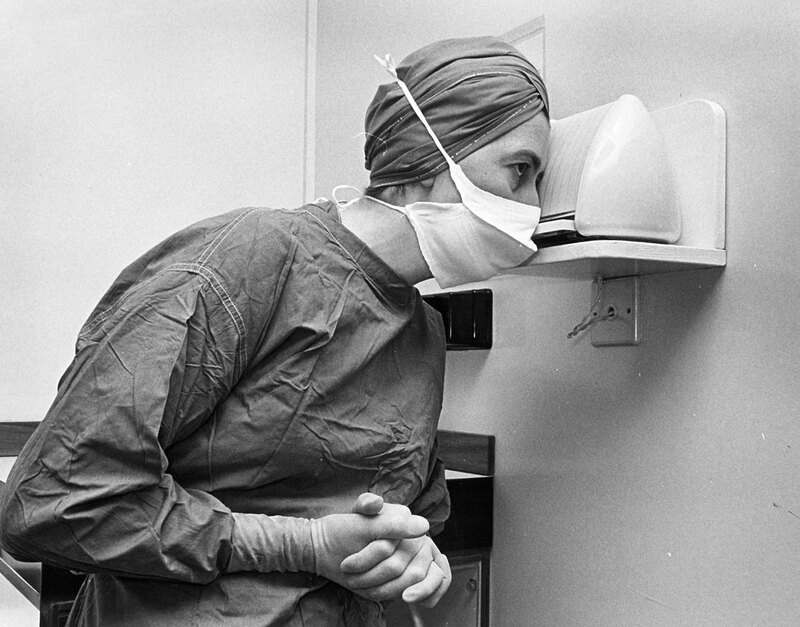 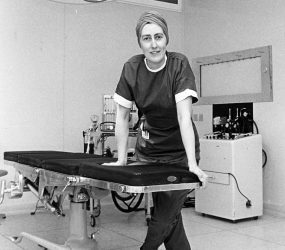 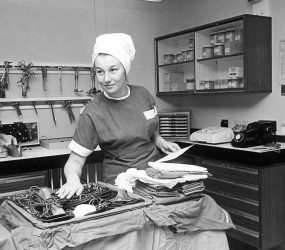 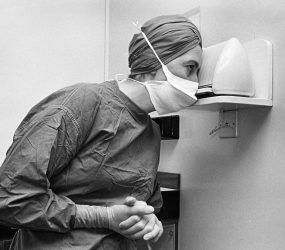 Jeanne Yates (pictured below) was the Theatre Superintendent who oversaw the new pioneering four-theatre unit at Odstock Hospital in 1966. 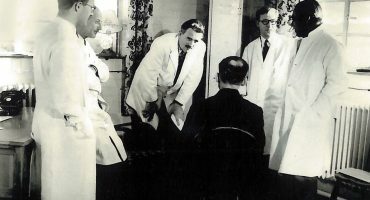 The two-table theatre system from the hutted military hospital, built for the US forces during World War 2, had been in need of replacing for many years. 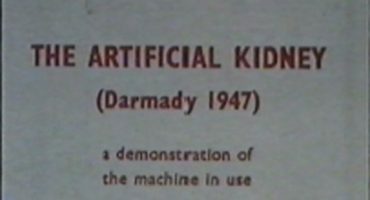 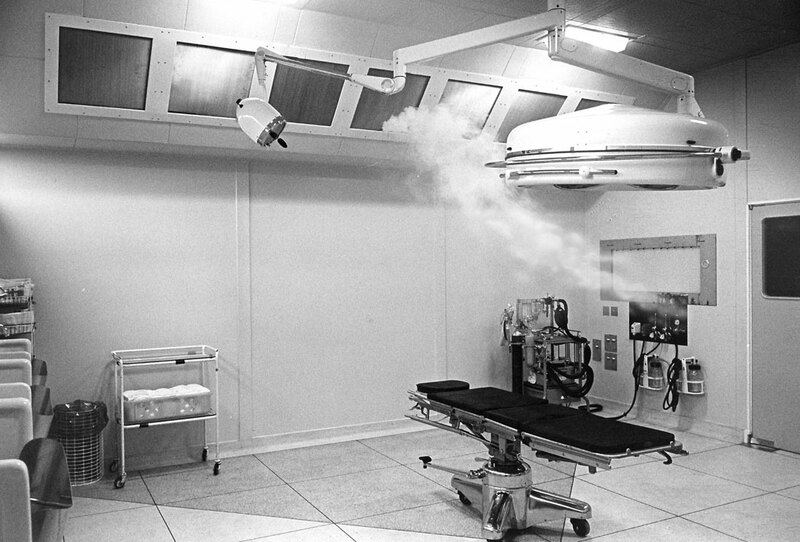 One innovation of the new theatres, a first in the country, was in the circulation of air through the suite. 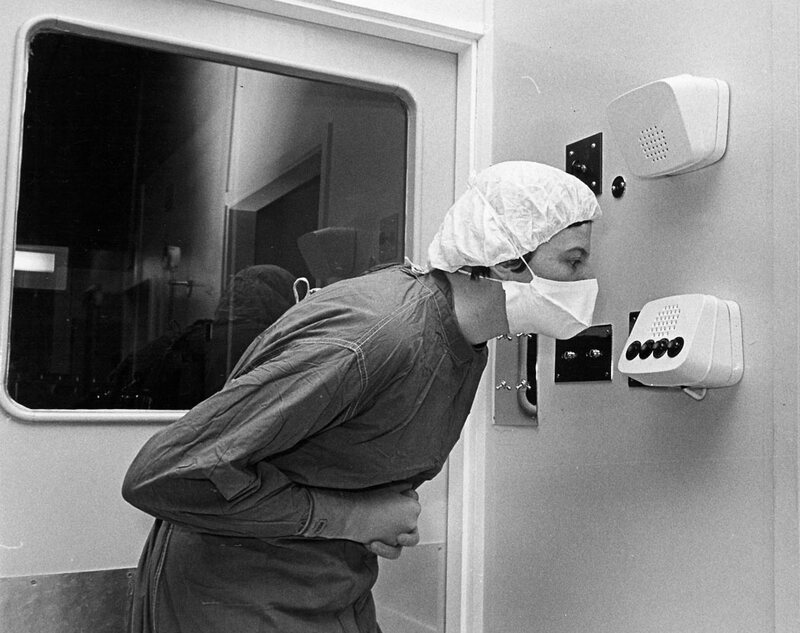 The most sterile area has the highest pressure supply so the air from that room can only move outwards. 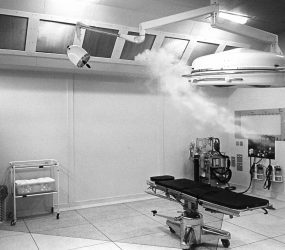 With forty air changes per hour, the air was filtered, warmed or cooled or humidified as necessary. 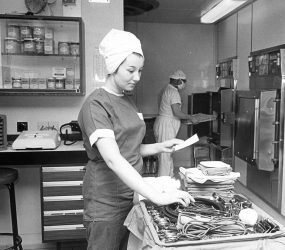 Other innovations in the suite included a ‘no hands’ intercom system, and the use of Bowie-type trays delivered to lay-up rooms through wall hatches fitted with sliding shelves. 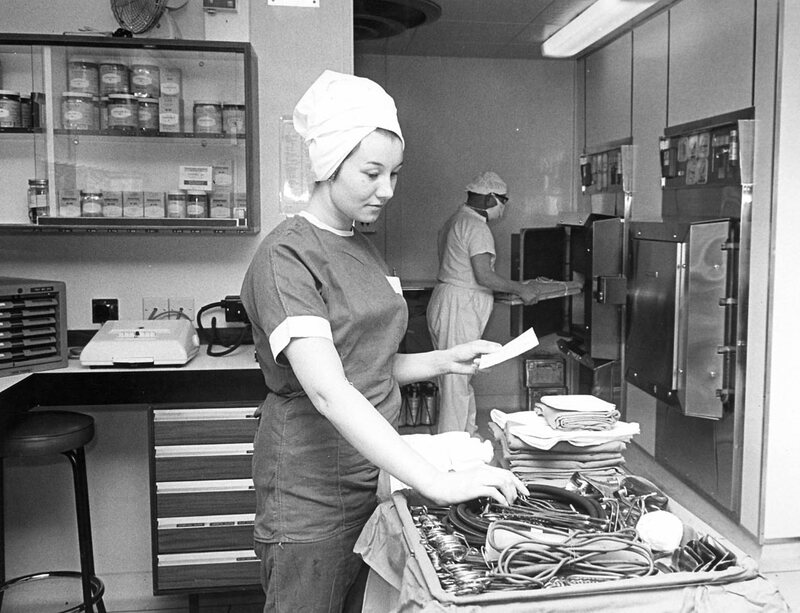 Fixtures, fittings and equipment cost £120,000 (equivalent to around £2million in today’s money). 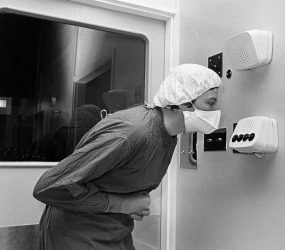 Surgery performed in the unit ranged from gynaecology, orthopaedic and children’s general to oral facial, maxillary, plastic and reconstructive. 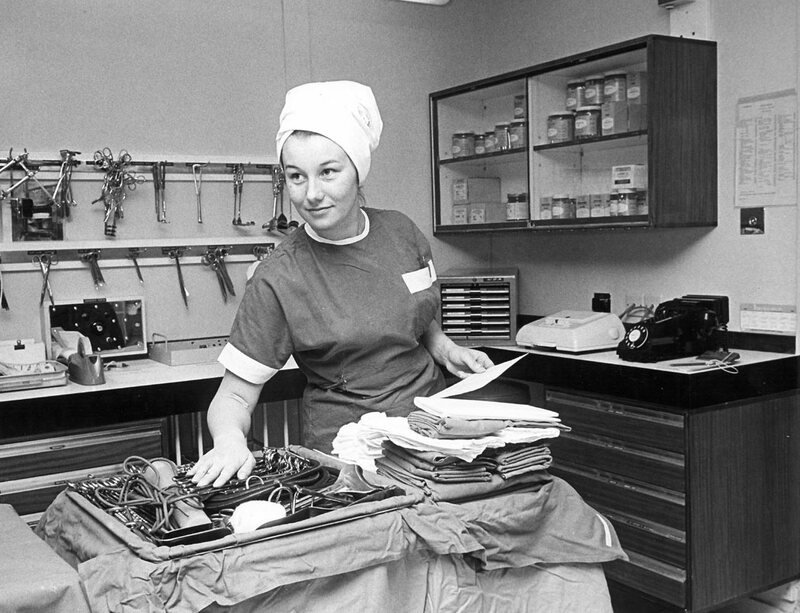 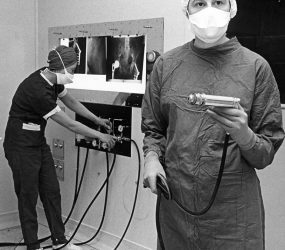 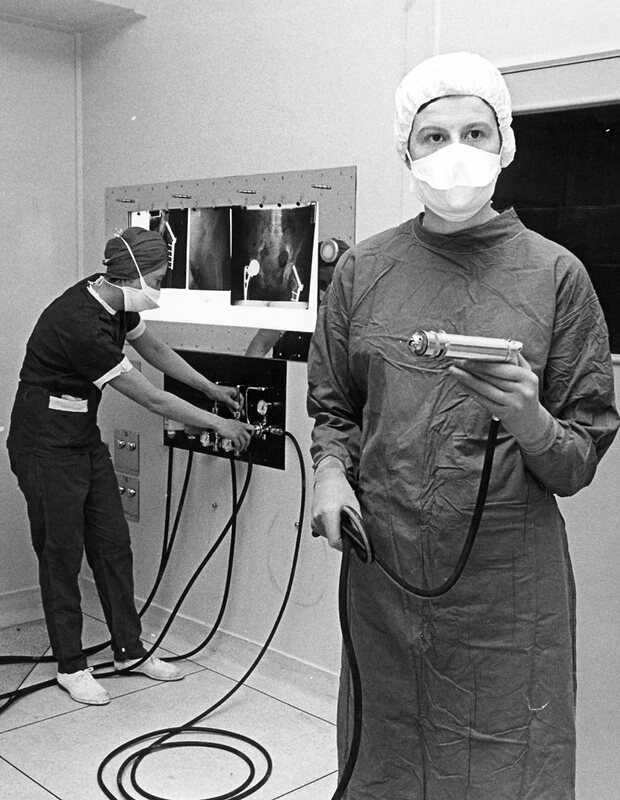 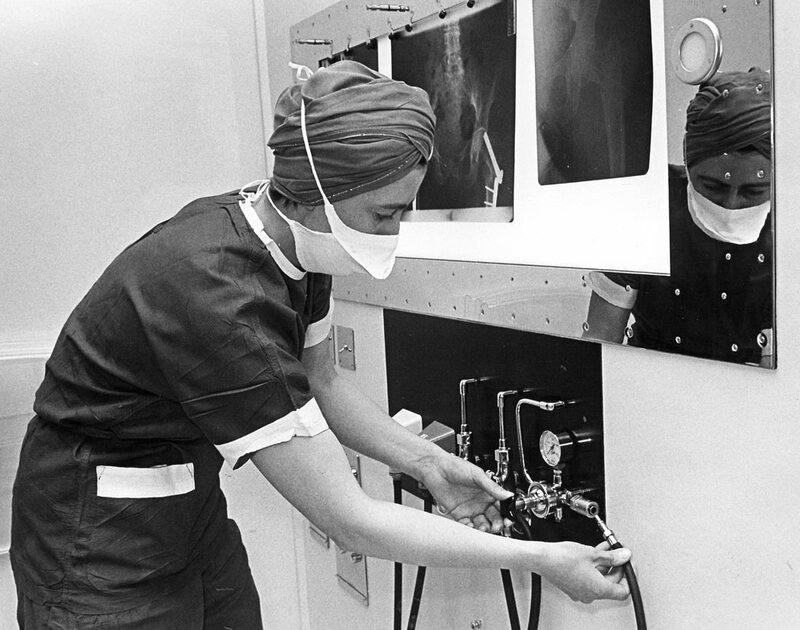 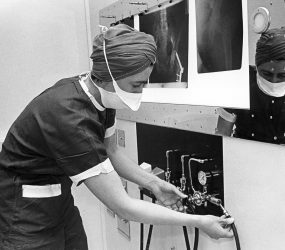 About 4,500 operations were performed in 1966. 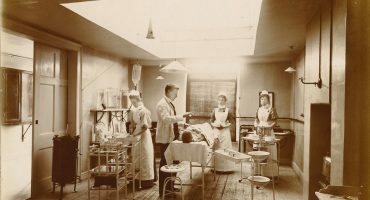 How do you light an operating theatre?